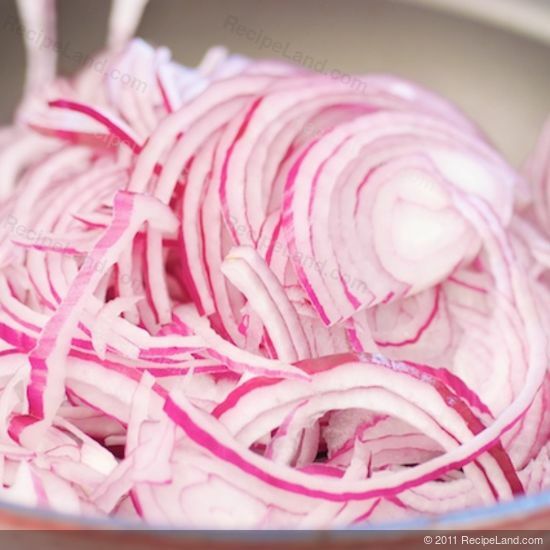 What is red onion? About the ingredient red onion. Including 947 recipes with red onion, nutrition data, photos, and where to find it. Red onions, sometimes called purple onions. 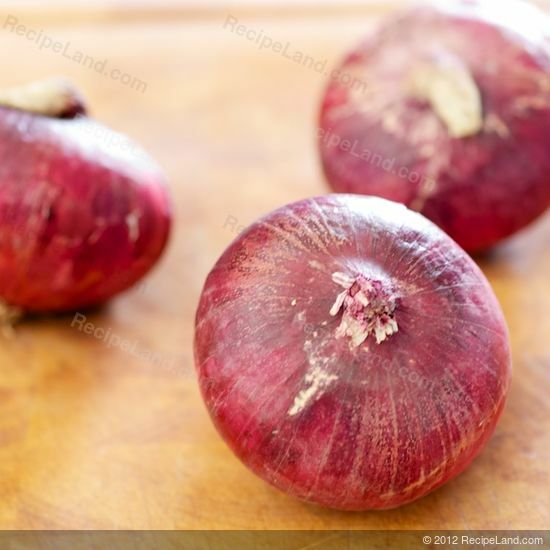 These onions tend to be medium to large in size and have a mild to sweet flavor. They are often consumed raw, grilled or lightly cooked with other foods, or added as color to salads. They tend to lose their redness when cooked. 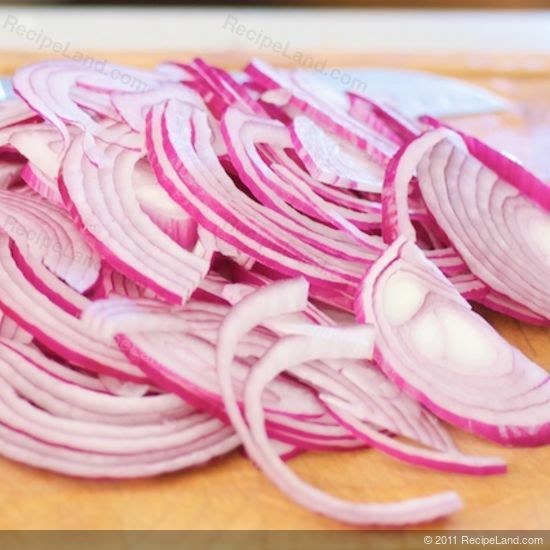 Red onions are high in flavonoids. They can be stored 3 to 4 months at room temperature. 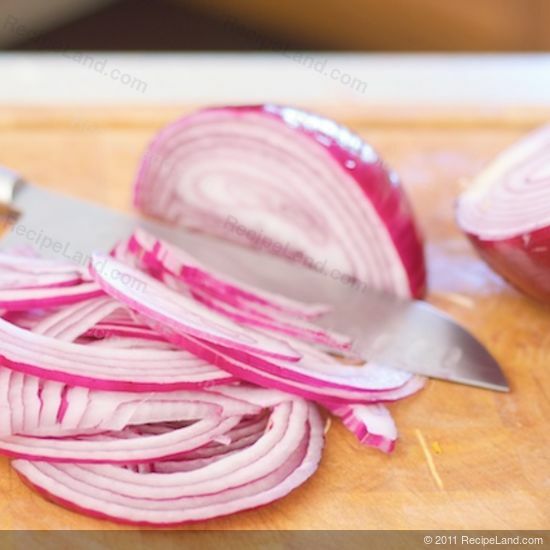 Red onion is usually found in the produce section or aisle of the grocery store or supermarket. 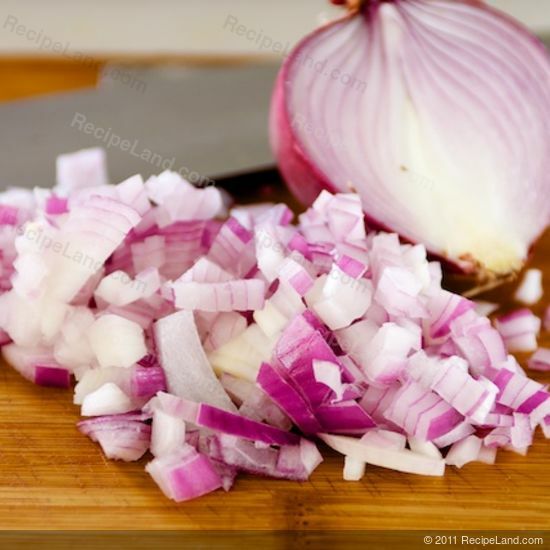 Red onion is a member of the Vegetables and Vegetable Products USDA nutritional food group. How much does red onion weigh? There are 953 recipes that contain this ingredient.